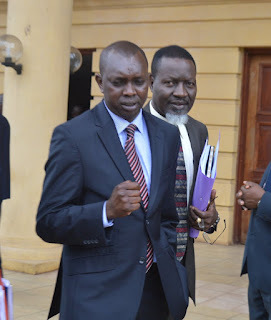 Home / County Politics, News / SHOCK as it emerges Kapseret MP OSCAR SUDI only reached Class 4 - This guy is a thug, he presented fake KCSE and Diploma papers! SHOCK as it emerges Kapseret MP OSCAR SUDI only reached Class 4 - This guy is a thug, he presented fake KCSE and Diploma papers! 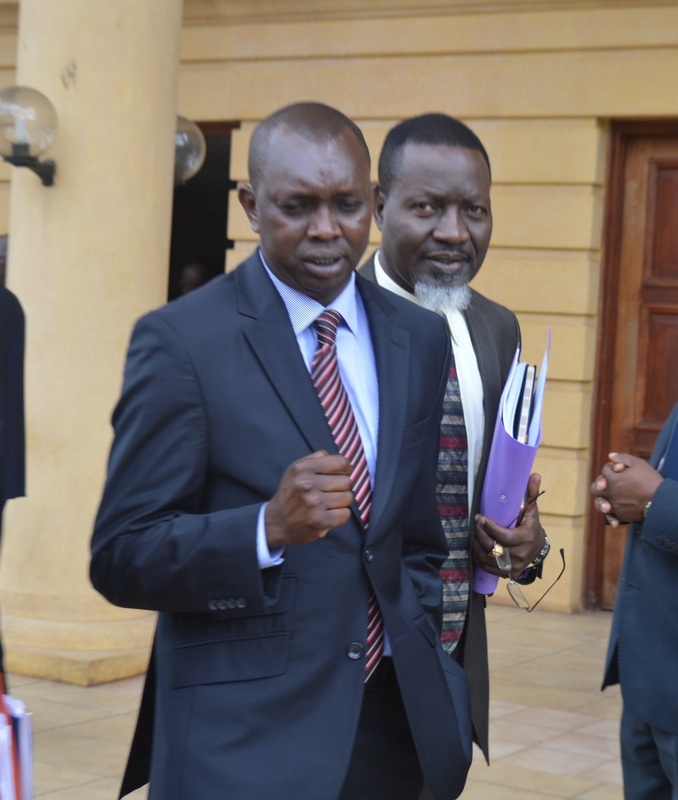 Friday August 24, 2018 - Kapseret MP, Oscar Sudi, is on the spot once again for all the wrong reasons after he was charged with allegedly presenting a fake Kenya Certificate of Secondary Education (KCSE) and diploma certificates to secure clearance for the National Assembly seat. This is after voters took the matter to court saying Sudi who they argued had not attended any secondary school or sat for KCSE exams presented fake papers. This was corroborated by records in the National Assembly which clearly show that Sudi was in Primary for only 4 years and not the normal 8 years. 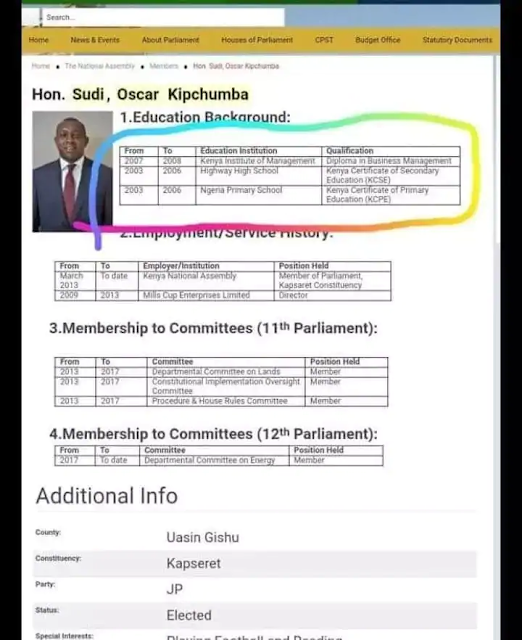 According to the MP’s profile, Sudi attended Ngeria Primary School between 2003 and 2006 where he attained the Kenya Certificate of Primary Education. If the official profile is anything to go by, then it means Sudi crashed through the primary school curriculum in four years against the required eight years.